Patients tend to take hearing for granted, assuming it will always be there, even though hearing loss affects one out of three adults ages 65 or older. Hearing impairment develops so gradually that many aren’t even aware of a problem until it has advanced beyond an easily treatable stage. This could be avoided if patients treated their ears with the same care and attention paid to the eyes; much like routine vision exams, regular hearing exams are an excellent first line of defense. Early detection increases the odds of successful treatment. Some degree of hearing loss is natural as we age. But other factors can lead to hearing impairment, as well. Excessive exposure to loud noise, impacted earwax, chronic ear infections and certain medications can all contribute to (or speed up) hearing loss. 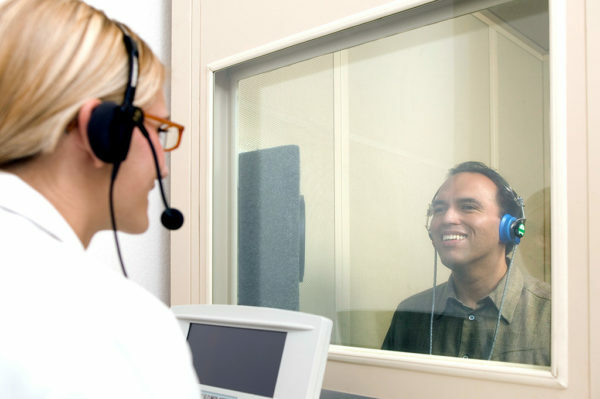 Regular hearing exams can help an audiologist spot these issues before they get worse and offer a treatment solution to those who might otherwise experience the debilitating social and emotional effects of living with a hearing impairment. Confusion, depression and social withdrawal are all common in individuals with untreated hearing loss. Adults aren’t the only ones who benefit from regular hearing screenings. Most newborns are screened at birth, but these tests aren’t always effective at detecting a hearing problem. In addition, some conditions develop or worsen in the first months of life. Hearing plays a crucial role in a child’s language and social skills development; catching a problem early provides an opportunity to treat the condition sooner rather than later, allowing the child to develop at a normal rate alongside his or her peers. Teens and young adults shouldn’t overlook hearing tests, either. Studies show that hearing loss is affecting younger and younger people all the time, thanks in large part to the explosion in popularity of personal music devices and ear buds. Together, these are a dangerous combination when music is played at excessive volume levels. Hearing tests offer the opportunity for early detection, as well as a chance to educate this segment of the population on proper usage of these devices. Hearing exams are quick, painless and perfectly safe. They allow us to help our patients protect one of their most valuable attributes, their sense of hearing. It makes no sense to delay – refer to have your patients’ hearing checked today!